Janice Margaret Donnelly, 79, of Milan, died Saturday, February 9, 2019 peacefully at her home. 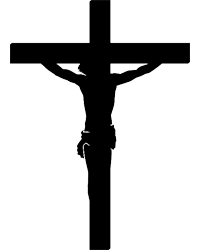 A Mass of Christian Burial will be 11 am Friday at St. Ambrose Catholic Church, Milan. Visitation will be from 4:30 – 7 pm Thursday at Wheelan-Pressly Funeral Home and Crematory, Milan, where a rosary will be recited at 4 pm. Entombment will be at Calvary Mausoleum, Rock Island. Memorials may be made to St. Ambrose Catholic Church or masses given in memory of Janice. Janice was born on August 7, 1939 in Rock Island, Ill. a daughter of Edward Sr. and Helen VanDeMaele Timm. 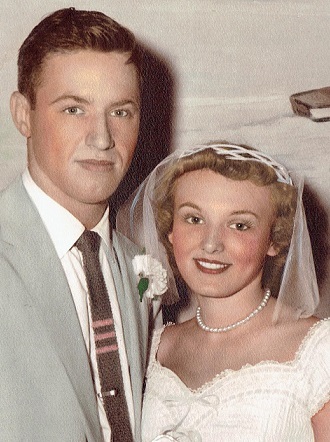 She married Tom Donnelly on August 17, 1957 at St. Joseph’s Catholic Church, Rock Island. 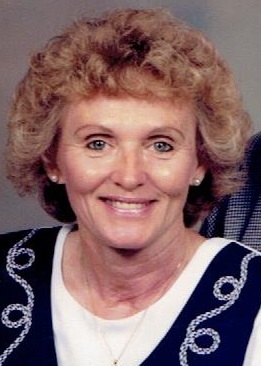 Janice served as president of Donnelly Masonry, Inc., retiring in 2000. Janice was a member of St. Ambrose Catholic Church. She enjoyed gardening, sewing, working on puzzles, playing cards and bowling. Most of all, Janice was devoted to her family, especially her children and grandchildren. Survivors include her husband of 61 years, Tom Donnelly, Milan; children, Debbie (Cliff) McKinzey, Milan, Cindy (Daniel) Duffield, Taylor Ridge, Tom Jr. (Connie) Donnelly, Milan, Lori (Mark) Lavery, Milan, Tim (Beth) Donnelly, Milan and Mike (Mindi) Timm, Coal Valley; grandchildren, Krista (Ed Wallington) McKinzey, Ryan (Shelly) McKinzey, Daniel (Jessica) Duffield, Amanda Duffield, Staci Donnelly, Juston (Liz) Donnelly, Andrew (fiancé, Bethany Holmander) Lavery, Adam (Kelsey) Lavery, Alexander Lavery, Jestin Burich, Christopher Erwin, Chad Erwin, Nash (Olivia) Hall, Chance Hall and Samantha Timm; great-grandchildren, Ada McKinzey Wallington, Robby and Reese McKinzey, Addison Duffield, Kaitlyn Fraikes, Ty Donnelly, Sydney and Cole Perkins, Aria Lavery, Aliyanna, Aliviya and Ameilya Erwin; and siblings, Edward (Sue) Timm, Rita Czupka, Thomas (Denise) Erps and Denise (Jim) Farrell. She was preceded in death by her parents, brother, Michael Timm Sr and step-father, Edward Erps.